Call and set up a free consultation with our Scottsdale DUI Lawyers. $500 Down starts YOUR case. Get a DUI Team, one with experience, and one which is on your side to defend you against your charges. Don’t plead guilty, call our Arizona defense lawyers and get the aggressive representation you deserve. A conviction for DUI (driving under the influence) in Scottsdale, Arizona can result in mandatory jail time, high fines, suspension of your driver’s license, and more. If you have been stopped for a DUI or a related crime, you need a skilled defense attorney familiar with the intricacies of the DUI statutes and experienced in challenging these charges. Our Scottsdale DUI Lawyers and defense team handles felony and misdemeanor DUIs, as well as license revocation proceedings. Our attorneys know the impact these actions can extend beyond your freedom, finances, and driving privileges. A Scottsdale DUI can affect your family, your freedom, your social status, and your career. Our Scottsdale DUI Lawyers commit to helping clients manage their case to achieve the best possible outcome under the circumstances. Call us today for a free case evaluation for DUI or related crimes in Scottsdale, Phoenix, Tempe, or anywhere in Maricopa County. (480) 833-8000. If you are subject to other Field Sobriety Tests in Scottsdale, My AZ Lawyer criminal defense attorney can move to have those results suppressed, so they may not be admitted as evidence against you. In Scottsdale, a driver stopped on a suspected DUI has the right to refuse the Field Sobriety Tests. Are there consequences to not cooperating and complying to an officer’s request to do these tests? If you do refuse the tests, and the police feel they have “probable cause” to make an arrest, they still may proceed. A “suspicion of DUI” is enough for a police to proceed with an arrest, but you do have a right to avoid self-incrimination and politely refuse to participate in any of the Field Sobriety Tests. If arrested for DUI in Scottsdale, Arizona, call the Scottdale DUI Lawyers from My AZ Lawyers immediately. If you consented to the Field Sobriety Tests, then later were arrested for DUI in Scottsdale, an experienced Scottsdale, AZ DUI attorney at My AZ Lawyers can advise you as to what your options are — call for a FREE CASE EVALUATION and let the expert attorney help you defend your rights. Standard Field Sobriety Tests have been statistically and historically proven inaccurate, and sometimes the results are biased, and sometimes unimpaired persons not under the influence of drugs or alcohol cannot pass some of these tests. Because of strict guidelines regarding the administrating of tests and other factors that can come into play affecting the results of the Field Sobriety Tests, (clothing, traffic conditions, lighting, weather, age, weight, physical handicaps) results may prove invalid. 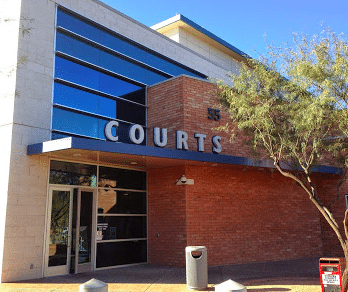 In order to build a solid defense for your Scottsdale, AZ DUI charge and to find out what your options are concerning your specific DUI arrest, call My AZ Lawyers. Scottsdale is located in the Sonoran Desert, bordered by Phoenix to the west and the McDowell Mountains to the east. Because of Scottsdale’s amazing downtown, Arizona considers it one of the finest urban centers in Arizona. It is also annually rated among the United States’ most desirable communities to visit, live in, and do business in. Downtown Scottsdale has more than 90 restaurants, 80 art galleries, and 320 retail shops! Scottsdale is in Maricopa County, Arizona. Incorporated as a town in 1951, Scottsdale is know as Arizona’s “The West’s Most Western Town.” Also, Scottsdale averages 314 days of sunshine each year, and Chili is the “official” food. In addition, Scottsdale is commonly associated with and defined by a high quality of life, and it ranked as one of the premier golf and resort destinations in the world. In fact, the real estate market in Scottsdale is among the most expensive in the US. Scottsdale is also located in the “Valley of the Sun” and shares its boundaries with Phoenix, Paradise Valley, and Maricopa County land; to the south, Tempe, and to the north, Tonto National Forest. Scottsdale is also known for its posh resorts. For example, the Phoenician. The city of Scottsdale is divided into four areas: South Scottsdale, Old Town Scottsdale, and Central Scottsdale (aka “Shea Corridor”). South Scottsdale has been tagged the “working class” region of the city. Also in this area is a development SkySong, a research center. Meanwhile, Old Town Scottsdale is a cultural district with many restaurants, bars, nightclubs, old fashioned stores, and western art galleries. For this reason, not only will you get the “old western cowboy” vibe here, you will also see high-end malls, nightlife, condos, and hotels. Additionally, the district known as the Shea Corridor got its name from being close to the east-west running Shea Boulevard. Homes generally built in the 1970’s and new resorts both can be found in this area. As well as, North Scottsdale claims the city’s most expensive homes. Also, the Scottsdale Airpark (second largest employment center in the Phoenix metro area) is in North Scottsdale. Scottsdale boasts both trendy and modern and old western flair. Annual cultural events and fairs happen in the city throughout the year, there are museums and art galleries, shopping, nightlife, Indian casino gaming, historical properties, sports, and recreational activities for residents and visitors. Visit the official site of Scottsdale, Arizona for more information on a the city. Scottsdale DUI Lawyers, Free Case Evaluation. Contact the best Scottsdale DUI Lawyers and Attorneys at (480) 833-8000. Let our experience protect your freedom.